The original string trimmer on wheels! 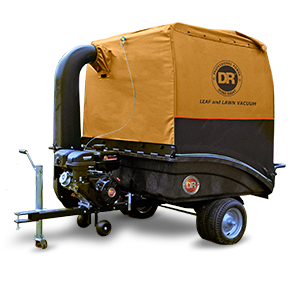 DR Trimmer/Mowers are the perfect tool for keeping your property looking tidy all season long. 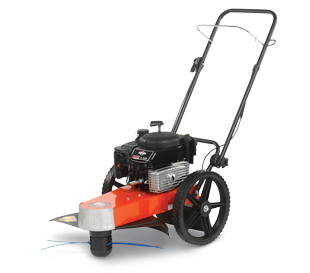 Available in a range of configurations, including self-propelled, for quick and easy trimming or heavy duty mowing. Trim along fence lines, up against buildings and walls, and on sloped areas with ease. 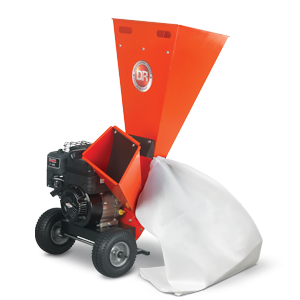 Wide-body design makes it nearly impossible for vegetation to wrap or tangle around the Trimmer Head. Super-duty Cutting Cords are thicker and specifically designed to handle the cutting speed and power of our big machines. Self-propelled model features gear-driven transmission. Powered wheels make the work easy on you, and cast-aluminum gear box makes the mechanism durable and maintenance-free. 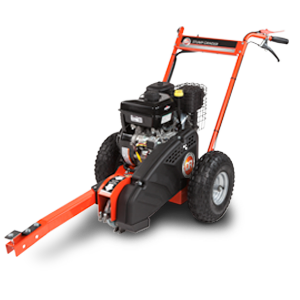 Accepts optional Beaver Blade Attachment for cutting woody growth and small trees up to 3" thick. 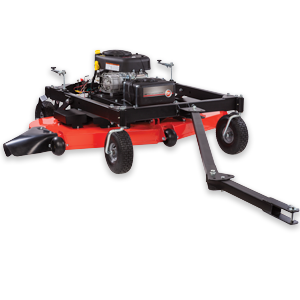 Accepts optional Durablade™ Attachment, which slices through tough brambles and hardwood brush up to 3/8" thick.